Can this vitamin solve your low thyroid function? Are you overweight despite watching your calories and carb intake? If so, you probably have low thyroid function. But don't go to the doctor and expect much help. 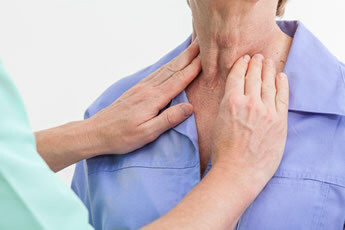 Because conventional doctors have been trained to diagnose low thyroid states through blood tests. These tests are not that sensitive. And most of the time, they are in the normal range even when the patient has low thyroid function. That's the bad news. The good news is that you may not need to jump straight into thyroid medication. A new study shows how a common vitamin might be of some help. Let me explain why. Thyroid hormone is critically important to every single cell in your body. That's because thyroid hormone stimulates cells to work. 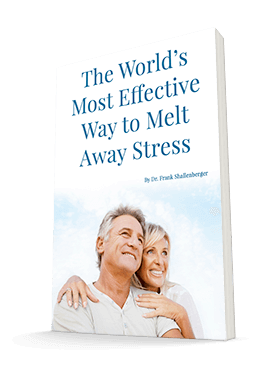 When thyroid hormone levels are low, cells stop working. That includes your brain cells, muscle cells, digestive cells, and all your cells. But many people have low thyroid function. Aging, fluoridated water, silver dental fillings, environmental toxins, nutritional deficiencies, X-rays, and infections can all lead to low thyroid function. Fifty years ago, doctors prescribed thyroid hormone based on the patient's condition. Things like fatigue, frequent colds and flu, constipation, weight gain, acne, water retention, high cholesterol, menstrual problems, infertility, dry skin, and cold hands and feet are all good indicators of low thyroid. But these days, doctors don't focus on how you feel to diagnose whether or not you could benefit from thyroid hormone replacement. Instead, they just look at blood tests. The most common test they rely on is the TSH (thyroid stimulating hormone). When the TSH is elevated it indicates that your thyroid function is low. Scientists took a look at the TSH levels of 56 obese women and 28 normal weight women. Then they gave half of the obese women 25,000 units of vitamin A per day. The other half they gave a placebo. They gave vitamin A to all of the normal weight women. The experiment went on for four months. The researchers wanted to know if the vitamin A would affect the TSH levels. They looked at vitamin A for two reasons. First, it plays a big role in the regulation of normal growth and development. And second, vitamin A regulates thyroid hormone metabolism and decreases TSH production. That stands to reason because as thyroid function improves TSH levels typically decrease. Here's what the vitamin A did in this study. Vitamin A caused a significant drop in TSH levels in both the overweight and the normal weight women. But that's not all. They also checked the levels of T3. T3 is the active form of thyroid hormone. And in both groups, the T3 levels increased. Both of these findings indicate a stimulating effect of vitamin A on thyroid function. The results of this experiment lead me to conclude that we can now add another cause for low thyroid function to the list above. And that is a vitamin A insufficiency. So it makes good sense for anyone who has the symptoms of low thyroid function — even if the hormone levels are "normal" — to take some vitamin A. But there is one warning here. Women who are pregnant or even possibly pregnant should keep their vitamin A intake below 10,000 units. Greater than that may lead to birth defects. I typically recommend 25,000 units of vitamin A for most people. If you need to take more than this for your thyroid function, make sure a doctor keeps an eye on your health, as too much vitamin A might cause some unwanted side effects. Farhangi MA, Keshavarz SA, et al. The effect of vitamin A supplementation on thyroid function in premenopausal women. J Am Coll Nutr. 2012 Aug;31(4):268-74.